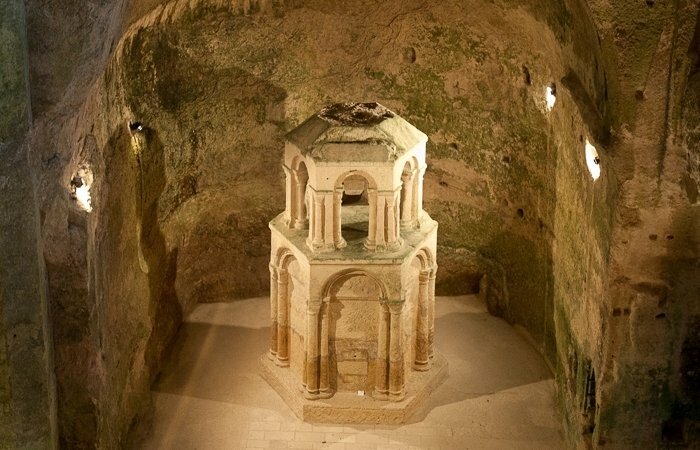 If you are looking for the best child-friendly holidays in South France then look no further! 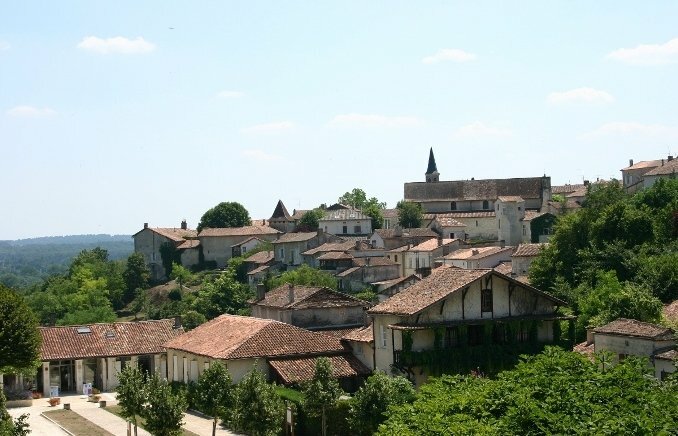 Located on the sunny Charente Dordogne border, Chateau de Gurat offers six child-friendly holiday cottages (or gîtes as they are called in France) for those wanting to experience the pleasures of rural France. 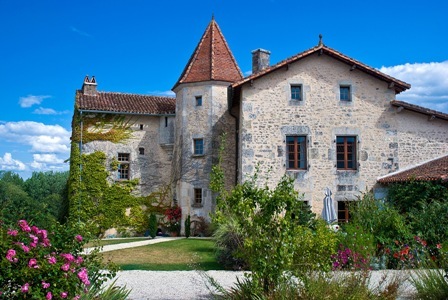 The gites are set in the landscaped grounds of the picturesque chateau, which dates back to the 15th century and stands in 14 acres of meadows and woodland. All of our summer holiday bookings are family groups with children aged usually between 4 and 14. Outside of the school holiday periods we are exclusively families with pre-schoolers. We firmly believe that "Happy kids equals Happy parents". Everyone deserves a holiday, not just the kids. With lots of extras on offer such as communual meals, wine tastings, visiting masseuse or something as simple as a approved English speaking baby-sitting service for a night out in one of the many local restaurants. If you are travelling with a baby or toddler we understand there are a whole raft of those "little things" that make life so much easier, like cots, highchairs, sterilisers, safety gates etc, especially if it is your first trip abroad with a baby. A fantastic place to stay, particularly for families. It's really well set up for young families (the kids in our group ranged from 1 - 3 year old's) and really gives them freedom to run around on their own. The owners are also incredibly helpful and could not have done more to help us re-locate passports we somehow managed to lose on route!! Thanks again guys. Great spot for a relaxing family holiday. Beautiful grounds. Really well set up for kids even very young children. Lovely big deep clean pool. Adult evenings are a wonderful respite of adult company without even leaving the premises! I would highly recommend. Brilliant place! We stayed here for a week with our two sons, they both didn't want to go home and have asked to go back since we got home. David and Nicki look after you from start to finish. Nicki cooks great home cooked meals if you want to just stay in and chill out. There's lots of stuff to keep the kids occupied around the chateau grounds. The local area is filled with stunning little towns and villages. Beautiful and friendly place for a young family holiday. Thoroughly enjoyed our time in Gurat, David & Nicki where wonderful hosts and have created a beautiful environment whilst preserving the original character of the buildings. The children where free to explore and enjoy the surrounding area in a child friendly environment. If you are a lover of Pizza then you will not be disappointed when the oven is fired up, if they did takeaway then I would be a regular. Chateau de Gurat is in a great location, surrounded by rolling landscapes and within easy reach of a great range of activities. Jardin de Rose provides family friendly acommodation, surrounded by a stunning private garden. The pool, play barn, animals and games, all made for a great holiday. Very charming and thoughtful hosts, we'll be back! Great place - lovely stylist and spacious gites - with loads of outside space for the kids to run around. Our five year old went off with her new friends to trampoline, feed the goats, terrorise the guinea pigs, etc, and we could be completely happy that they were all safe and having fun even when out of eyesight. Lovely pool area. We had such a lovely holiday! It was perfect. I have read two books during our stay, that was a long time ago. Our three girls enjoyed the place so much as well. The play area, the swimming pool, the sand area, the animals.... We all enjoyed the lovely food Nicky made, the pizza night and wine night. I would recommend this place to anyone. What a fantastic 2 weeks. The children had a great time using all the facilities. 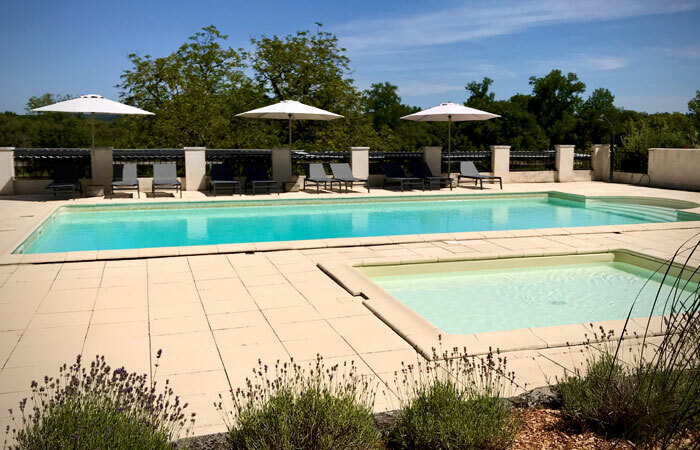 The pool was the biggest hit, we miss not being able to swim all morning..and all afternoon.. and evening Highlights were our trips to the river beach at Aubeterre, Brantome is very pretty and worth a visit. In-house Wine tasting and Pizza night..wow! Excellent facilities with plenty for all to enjoy, magical gardens.Very many thoughtful touches which were appreciated. We all enjoyed our stay and were blessed with great weather. Aubeterre was lovely and the restaurant in the corner of the square (can't remember the name!) was really good. This place is just perfect for families with young children and perfect for the adults too. Nicki helped organise a birthday surprise for my husband, can definitely recommend the visiting masseuse. Kids just disappeared every day, out playing with their holiday friends. We pride ourselves that we have created a safe child-friendly environment, where kids can mingle, explore and play. One thing for sure is that you won't hear that phrase every parent dreads..."I'M BORED!" From morning to night, children soon adopt a busy routine here at the chateau, a morning visit to feed the chickens, goats and sheep, perhaps stop off at the trampoline for a bounce before breakfast. Then a splash in the pool. All before a trip out to explore the local region. Maybe just getting some quality time to read a good book!